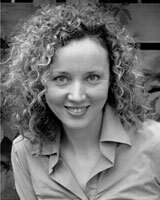 Christine Matheson, naturopathic doctor and certified yoga instructor, has operated a diverse naturopathic practice in Toronto since 2002. She is one of the first naturopathic doctor’s in Canada to work in a hospital setting as a member of a multidisciplinary team of physicians and specialists at the former, Women’s Pelvic Health Centre at Women’s College Hospital in Toronto (2002-2004). While it was open, this truly innovative clinic offered a unique blend of conventional and natural therapies for women suffering from all sources of pelvic pain. Through working in this dynamic complementary medicine setting, Christine gained valuable clinical experience and knowledge about pelvic health. She supports the safe integration of naturopathic medicine with conventional medicine when beneficial. While incorporating a full spectrum of western and eastern-influenced naturopathic therapies, Christine emphasizes disease prevention and the intricate connection between the body, mind and spirit. She has developed specific clinical experience in women’s health, children’s health, gynecology and urology with special interests in stress management, immunity, digestive health, food sensitivities, pregnancy and environmental links to health. As a certified yoga instructor since 1995, Christine can incorporate yoga techniques into treatment strategies for patients and she has developed and taught specialized yoga programs, including classes for people living with cancer at Wellspring, a cancer support agency. As an accomplished public speaker with expertise on a broad range of health topics, she is asked to present regularly, such as at the popular Women’s Health Matters Forum and Expo in Toronto. She has also made guest appearances on the Rogers cable television program ?Medical Intelligence’ and is often asked to contribute to health articles in Chatelaine and Flare. After graduating with honours from the University of British Columbia with a bachelor of arts in Women’s Studies, Christine completed four years of naturopathic training at the Canadian College of Naturopathic Medicine (Toronto), Canada’s first accredited naturopathic college. As a naturopathic student, Christine was the original founder of the college’s annual Women’s Health Awareness Week. Upon graduation she was the recipient of the Swiss Herbal Remedies Bursary in recognition of excellence in the promotion of women’s health and the President’s Award for professional courage and vision from the Clinic Faculty. She is proud to be a member of the Canadian Association of Naturopathic Doctors. To book Christine Matheson as a speaker or if you would like more information about her and the wellness seminars she offers. Please visit or contact her at cmatheson.nd@sympatico.ca or call 416-792-4400.